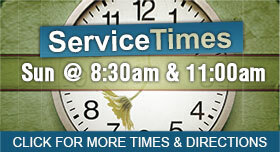 Casual/contemporary, 8:30 a.m. – The Praise Band opens the service and provides music throughout. Traditional, 11 a.m. – Services feature an organ prelude, hymns, Chancel Choir, and written liturgy and prayers. Fellowship helps make disciples of Christ through worship, Christian education and gatherings in the Korean language. A Korean Culture School teaches Korean culture, including language, to Korean children and youth from September through April. Children’s classes meet from 3:15 to 4:45 p.m. Fridays. Christian Faith Campus Ministries is a predominantly African-American, nondenominational ministry. It is a recognized student organization of Western Illinois University. Get inspiration and energy midweek at this informal worship experience that includes a meal, music and brief message by a church or community member, or one of our pastors. Children may participate in a fun, interactive class after the music. - Nursery services are available at all morning services. - Children's Activity Bags are available at the entrances to the sanctuary. - Praise Kids Choir right after the children's message in our contemporary worship service. - Handicap seating is available. - Hearing aid devices are available at the entrance to the sanctuary. The Church Office is open Monday - Friday 8 a.m. - 5 p.m. We are closed on federal holidays.